John Herbert Gleason was born on 26 February 1916, in Brooklyn, New York City USA, of Irish ancestry. John was an actor, musician and comedian best known for his character Ralph Kramden in the television sketches “The Honeymooners”. He also helped develop and hosted “The Jackie Gleason Show” which became very popular in the 1950s. His numerous efforts helped put his net worth to where it was prior to his passing in 1987. How rich was Jackie Gleason? As of mid-2016, sources inform us of a net worth that was at $10 million, mostly earned through a successful career as an actor. While he had a lot of success in film and on television, he also did music for a time in his career. He’s well respected in the United States with numerous places paying recognition and honor to his memory. Gleason’s father left the family at a young age, and Jackie became a part of a local gang soon after that. He went to P.S.73 elementary school and John Adams High School, but did not matriculate. During his time at John Adams, he took an interest in acting and later got a job as master of ceremonies in a theatre. Along with this, Gleason worked various odd jobs and after his mother died, he was taken in by the family of his first girlfriend Julie Dennehy. He then began left to pursue a career as a comedian, which was the start of his net worth increase. He eventually got to perform at various clubs, reaching Club 18 in New York City, where he was discovered and given a film contract. The first films he was seen in include “All Through the Night”, “Tramp, Tramp, Tramp” and “Orchestra Wives”. While making these films, he still worked in nightclubs, mostly performing comedy and music. He then started to become popular when he performed on Broadway in the production of “Follow the Girls”. This then continued with television success, starting with the adaptation of the radio comedy “The Life of Riley”. 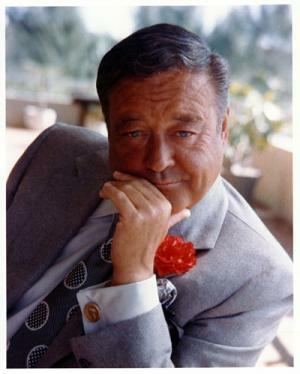 His popularity also helped the creation of “The Jackie Gleason Show”, in which he created a lot of characters and roles for the show including The Poor Soul, The Bachelor, Reginald Van Gleason III and Rudy the Repairman. He then created a sketch which would be known as “The Honeymooners”, which became so successful after its first appearance that they tried to make it into a separate television show, but that didn’t work out. Around the late 50s up to the 60s, Gleason was starting to get into the music scene, and released his first album “Music for Lovers Only” which held 153 weeks in the Billboard Top Ten Charts. He was also responsible for creating the musical themes for “The Jack Gleason Show” and “The Honeymooners”. Gleason also received a Tony Award for being a part of the musical “Take Me Along”. Jackie then went back to television, reviving his signature variety shows, doing sketches once more, and even bringing “The Honeymooners” back. They had more success this time and he even did a few specials for various television networks. He also started to do more dramatic work in films such as “The Laugh Maker” and “The Time of Your Life”. He was nominated for a Best Supporting Actor Award for “The Hustler”, and continued to make films including “Requiem for a Heavyweight”, “Gigot”, “The Wool Cap” and “The Toy”. For his personal life, Jackie married Genevieve Halford in 1936, and they had two daughters during their turbulent marriage. The separated in 1954 but did not divorce until 1970. His second wife was Beverly McKittrick: they married in 1970 as well. Four years later they would divorce, and he married Marilyn Taylor in 1975 which lasted until Gleason’s death. Around the 1980s he was diagnosed with terminal colon cancer, which had already spread through to his liver. He died from the illness in his home in June 1987. Spouse Marilyn Taylor (1975-1987), Beverly McKittrick (m. 1970–1975), Genevieve Halford (m. 1936–1970), “The Time of Your Life”, "The Toy"
1 Always ended his show with the "The Miami Beach audience is the greatest audience in the world." 2 I have no use for humility. I am a fellow with an exceptional talent. 3 [on what inspired him to became a "mood music" legend, via a series of successful albums] Every time I ever watched Clark Gable do a love scene in the movies, I'd hear this really pretty music, real romantic, come up behind him and help set the mood. So I'm figuring that if Gable needs that kinda help, then a guy in Canarsie has gotta be dyin' for something like this. 4 The worst thing you can do with money is save it. 5 I'm no alcoholic. I'm a drunkard. There's a difference. A drunkard doesn't like to go to meetings. 6 [trademark line] How sweet it is!" 7 Drinking removes warts and pimples. Not from me. But from those I look at. 1 Smoked 4 packs of cigarettes a day, even after undergoing heart surgery. 2 Campaigned for Richard Nixon in the 1968 and 1972 presidential elections. 3 Underwent triple heart bypass surgery in June 1978. 4 Brother-in-law of June Taylor. 5 The popular Hanna-Barbera character Fred Flintstone was based on him, as the Flintstones animated series was loosely based on the Honeymooners. Upon realizing this, Gleason tried to file a lawsuit against Hanna-Barbera but was dissuaded from doing so by friends and colleagues who advised him that it would be bad for his reputation if he became known as "the man who killed Fred Flintstone.". 6 His paternal grandfather, William Walton Gleason, was an Irish immigrant, and his paternal grandmother, who was U.S.-born, had English and Dutch ancestry. His mother was also an Irish immigrant, from Farranree, Cork, Ireland. 7 Appears as Ralph Kramden, with Art Carney as Ed Norton, on a 44¢ USA commemorative postage stamp in the Early TV Memories issue honoring The Honeymooners (1955). The stamp was issued 11 August 2009. 8 He was awarded 2 Stars on the Hollywood Walk of Fame for Recording at 6231 Hollywood Boulevard and for Television at 6300 Hollywood Boulevard in Hollywood, California. 9 Has a street named after him in Iowa City, Iowa. 10 Biography in: "The Scribner Encyclopedia of American Lives". Volume Two, 1986-1990, pages 328-331. New York: Charles Scribner's Sons, 1999. 11 In the 1930s, before he ever really made it even in smalltime venues, he was a bartender at a bar in Newark, New Jersey, called the Blue Mirror. He wore his apron high on the chest just like he did as his "Joe the Bartender" character 30 years later on his television show, and he entertained the patrons with his antics, just like "Joe the Bartender." Eventually, he got such a following that the owner gave him a chance at the microphone on stage. The rest, as they say, is history. This was also a time when he actually lived and slept in the back room with the empty bottles, etc. And, of course, it was across the street from a pool hall that he patronized in the afternoons after he was finished cleaning up the Blue Mirror. 12 His family background was, according to most accounts, almost Dickensian. It was marked by severe illness and grinding poverty, in any event. His father, Herb Gleason (1884-1964), was a henpecked insurance clerk who took his myriad disappointments in life out in drink. He deserted the family when Jackie was nine. His mother (d. 1935), the former Mae Kelly, was overprotective of her younger son, who died when Jackie was in his teens. An older brother, Clemence, died, probably of tuberculosis, at the age of fourteen, when Jackie was three. 13 Was a mentor and frequent drinking buddy of Frank Sinatra. It was Gleason who first introduced Sinatra to Jack Daniels whiskey, which became Sinatra's signature drink. 14 The Jackie Gleason Show (1961) helped propel the tourist industry in Miami Beach in the early & mid 1960s. 15 The Miami Beach Auditorium was re-named the Jackie Gleason Theater and is located on 17th Street and Washington Avenue on South Beach. 16 He was not only a boxer and carnival barker in his early years, but also a pool hustler. Interestingly, he went on to play Minnesota Fats in The Hustler (1961) with Paul Newman. 17 Won Broadway's 1960 Tony Award as Best Actor (Musical) for "Take Me Along" over his two also-nominated co-stars, Walter Pidgeon and Robert Morse . 18 Did not like working with young children. 19 Inducted into the Academy of Television Arts and Sciences Hall of Fame, 1986. 21 There were plans to reunite him with Art Carney for Steven Spielberg's 1941 (1979). They were to play two men who would be stationed on top of a Ferris Wheel. However, Gleason's representatives informed the producers that he would not perform with Carney. But, by 1985, just two years before he died, he was reunited with Art Carney in Izzy & Moe (1985). They even shared over the credits billing, with Carney first, but lower left, and Gleason second, but upper right. 22 On August 2000, cable television station TvLand unveiled an eight-foot bronze statue of Gleason as Ralph Kramden. The statue was placed in the Port Authority Bus Terminal in New York City. 23 The set of The Honeymooners (1955) show was based on Jackie's childhood home on Chauncey Street in the Bedford-Stuyvesant (originally Bushwick) area of Brooklyn, New York. The apartment building is still there and looks very much the same as in Jackie's time. 24 Once said that Orson Welles bestowed his "The Great One" nickname upon him. 25 Recorded a number of albums featuring instrumental "mood music" (what is now known today as "lounge music"). Gleason served as producer, band-leader, and (on occasion) vibraphone player, despite the fact that he couldn't read sheet music. Several of the albums included original compositions by Gleason. One album, "Lonesome Echo", topped the charts in 1955, and featured an album cover with original art by Salvador Dalí. 26 On January 20, 1961, a game show he co-developed, "You're In the Picture" (1960), premiered on CBS. The premise was to have celebrity guests place their heads into a cutout scene and ask the host questions as to guess what picture or historical scene they were in. The show's concept was ill-conceived, especially for co-creator and host Gleason, and was blasted by critics and viewers alike. On the next week's broadcast Gleason apologized to the viewers, saying, "Honesty is the best policy. We had a show last week that laid the biggest bomb! I've seen bombs in my day, but this one made the H-bomb look like a two-inch salute." The time slot was filled with a variety program; The Jackie Gleason Show (1961). 27 Father of actress Linda Miller. 28 Buried in Miami. His grave site is all that one would expect. Engraved in the "riser" of the second step from the top is the classic, "AND AWAY WE GO". 29 Had an interest in the occult as well as an extensive collection of books on the paranormal. 30 Eponym of the Jackie Gleason (formerly 5th Avenue) Bus Depot in Brooklyn, New York. 31 Grandfather of actor Jason Patric. 32 Despite his iconic stature as a TV-comedy giant, Gleason never won an Emmy. 33 Prone to excess with wine, women, song and work, a lifestyle which often led to exhaustion. In such cases, he would check into a hospital for some needed rest. But one famous story has it, when Gleason really felt "sick", he checked himself OUT of the hospital, and went home to be taken care of! 34 He was legendary for his dislike of rehearsal, even in the early days of live TV. Yet he was equally renowned for his total mastery and control over each production detail and insisted on the show credit: "Entire Production Supervised by Jackie Gleason." 35 He designed his own fantastic round house that was built in Peekskill, New York, in the 1950s and remains a modern marvel. The precious wood interior took special crafting by Swedish carpenters who were brought to the U.S. for a year to work on the house. It contained a basement disco and one of the very first in-home video projection systems. Despite the enormous cost, the Gleason dream house long suffered from a leaky wooden roof. The Break-Up 2006 musician: "Tenderly"
The Jackie Gleason Show 1952 TV Series composer: theme "Melancholy Serenade"
The Wool Cap 2004 TV Movie story "Gigot"
Whatever Works 2009 performer: "If I Could Be With You One Hour Tonight"
We Own the Night 2007 performer: "I'll Be Seeing You"
Return to Me 2000 writer: "It's Such a Happy Day"
Blast from the Past 1999 writer: "Honeymooner's Theme"
Nadine 1987 performer: "LOVE IS HERE TO STAY"
The Fabulous Fifties 1960 Documentary performer: "Sid, Ol' Kid"
The Jackie Gleason Show 1952 TV Series "Melancholy Serenade"
1960 Star on the Walk of Fame Walk of Fame Television On 8 February 1960. At 6300 Hollywood Blvd. 1960 Star on the Walk of Fame Walk of Fame Recording On 8 February 1960. At 6231 Hollywood Blvd.